LONDON, (Reuters) – England have already set new goals after reaching the coveted number one spot in the world rankings at the expense of India who face an unenviable task in the fourth test starting today. 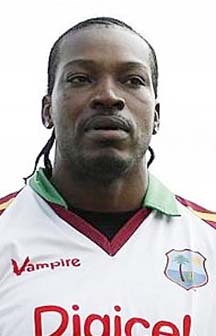 BRIDGETOWN, Barbados, CMC – Estranged West Indies opener Chris Gayle will meet with West Indies Cricket Board chief executive Ernest Hilaire next Tuesday, to hash out lingering issues that have kept the Jamaican out of the regional side. 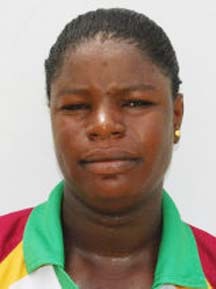 BRIDGETOWN, Barbados, CMC – West Indies will do battle in Group B of the ICC Women’s World Cup Qualifier 2011 as they compete among 10 teams for four spots at the 2013 Cricket World Cup. TAUNTON, England, CMC – Young West Indies stroke-maker Darren Bravo failed but Nottinghamshire still did enough to beat Somerset by three wickets with a ball to spare in the Clydesdale Bank 40 Championship here yesterday. 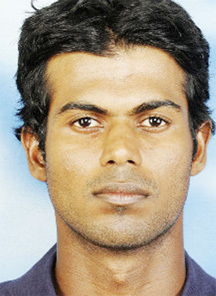 HAMBANTOTA, (Reuters) – A brilliant 13th one-day international century from opener Upul Tharanga took Sri Lanka to a 78-run win over Australia in the third one-day international at the Mahinda Rajapaksa Stadium yesterday. 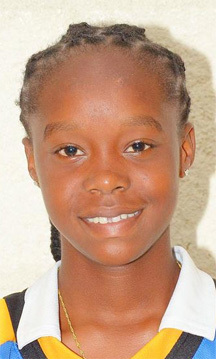 ST JOHN’S, Antigua, CMC – Fifteen-year-old Barbadian Shaquana Quintyne has been named in a 14-member West Indies women’s squad to face Pakistan on the upcoming tour of the Caribbean. In Greek mythology the Titans, were a race of powerful Gods and in the famous Tintanomachy “War of the Gods,” The elder Gods were overthrown by a group of younger Gods known as Olympians. Sport Minister Dr. Frank Anthony labelled the De Sinco Trading Limited hard court cricket facility a step in the right direction for cricket development when it was commissioned at the Gandhi Youth Organisation (GYO) ground, Woolford Avenue, last evening. BIRMINGHAM, England, (Reuters) – Warwickshire County Cricket Club, which hosted the England-India test that ended on Saturday with the home side crowned the world’s best, has incurred a 29 million pound debt to retain its international status but has no regrets about the “risk”. 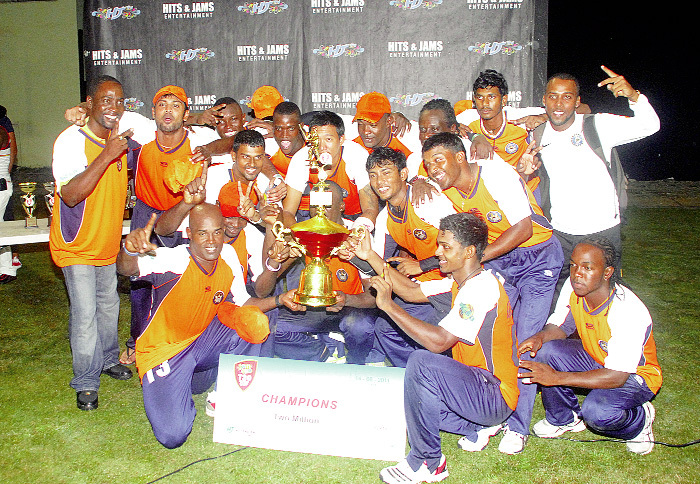 The boys from the Land of Flying Fish made it five wins out of five en route to dethroning 2010 winners Trinidad and Tobago as the regional limited overs champions with a commanding nine-wicket win at the Demerara Cricket Club (DCC) Ground, yesterday. 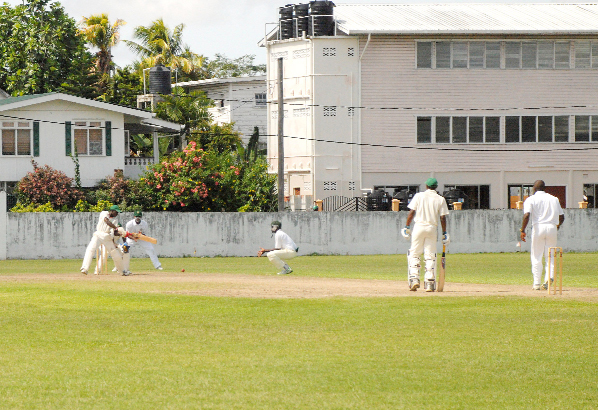 Guyana’s Under-19 cricket team ended its chequered campaign of the WICB limited overs tournament with a draw against the Windward Islands at the Georgetown Cricket Club (GCC) ground, Bourda. GEORGETOWN, Guyana, CMC – Jamaica made light work of the Leewards Islands to end their WICB Regional Under-19 One-Day campaign on a high yesterday. In sport it is always felt that a group stars in a XI does not make a team win but 11 players working together will. 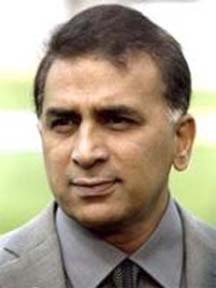 As one who has written as many words to fill the public library on behalf of the West Indies Players Association (WIPA), Dinanath Ramnarine’s comment last week suggested that the penny had finally dropped. 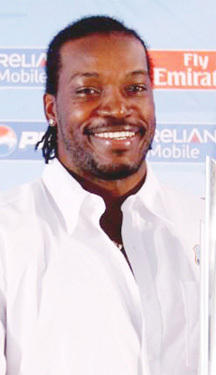 Guyanese will be entertained by Chris Gayle this weekend in the inaugural Hits and Jams Twenty20 competition at the National Stadium. 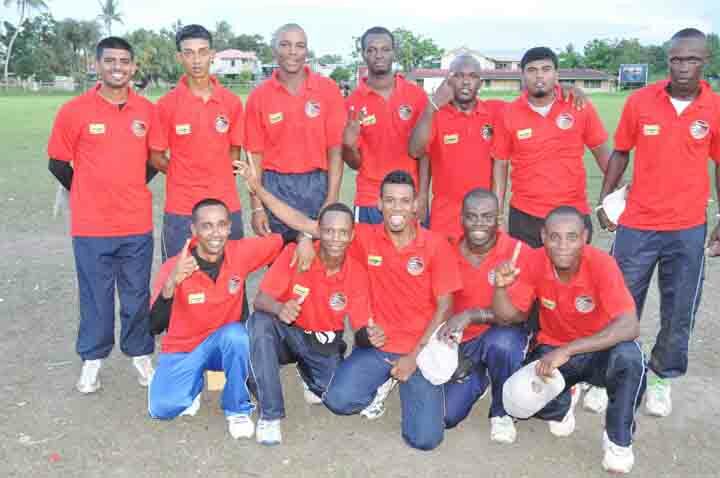 Dyna’s Bravados and Fire Links cricket teams have advanced to the Super 16 stage of the Kares Engineering/Bushy Park Sawmills 10/10 Tapeball Cricket Competition when play in the East Bank Zone ended yesterday at the Diamond Community Centre ground. 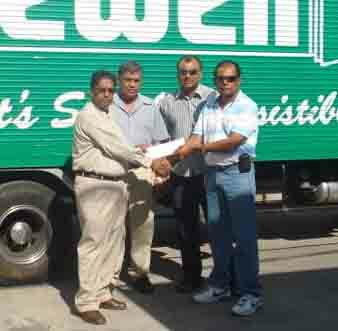 Bakery giants Bakewell of 5-9 Drive, Miller St., Triumph, East Coast Demerara, has joined forces with the Guyana Floodlight Softball Cricket Association (GFSCA) to sponsor the next nationwide male/female softball tournament, set to kick off on August 28. Guyana’s tournament momentum and title hopes came to an abrupt halt yesterday when they suffered their second defeat in a week losing by eight wickets to Barbados at the Blairmont Community Centre Ground, Berbice, in the penultimate round of the limited overs version of the West Indies Cricket Board’s Under 19 tournament. 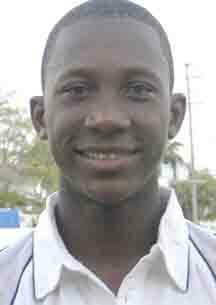 GEORGETOWN, Guyana, CMC – Emmanuel Lett continued his outstanding showing at the WICB Regional Under-19 Championship with another brilliant performance yesterday to re-ignite Trinidad and Tobago hopes of winning the One-Day title. 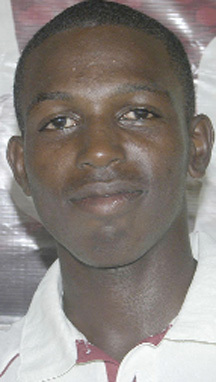 GEORGETOWN, Guyana, CMC – Jamaica finally got a win in the WICB Regional Under-19 One-Day Championship, as middle-order batsman Brian Gayle hit an unbeaten century to guide them to a two-wicket victory with a ball to spare in a cliff-hanger yesterday. BIRMINGHAM, England, (Reuters) – England surged to the top of the world rankings after crushing India by an innings and 242 runs in the third test yesterday to secure their sixth consecutive series win. In his first year in charge of the national side, new Guyana women’s cricket coach Latchman Yadram has pledged to go all out to win this year’s West Indies Cricket Board (WICB) Women’s limited overs tournament which commences today in Barbados. 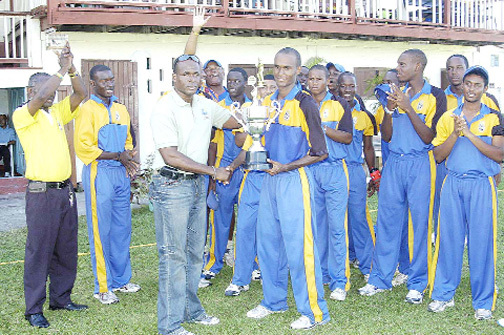 Georgetown, Guyana – Jamaica coach Robert Samuels has praised his players for their team-work, unity and belief in each other following the capture of the three-day title in the West Indies Cricket Board’s Under-19 Tournament. 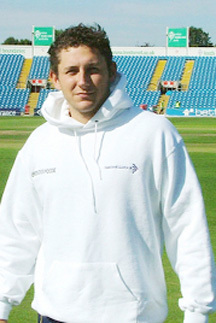 NOTTINGHAM, England, CMC – A typically belligerent, unbeaten 47 from Kieron Pollard propelled Somerset to a six-wicket victory over Nottinghamshire in the quarter-finals of the English Twenty20 Championship yesterday. 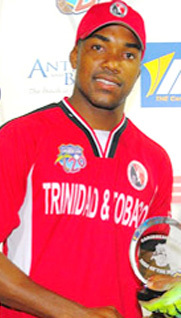 PORT OF SPAIN, Trinidad, CMC – Regional players body, WIPA, have appointed directors Dave Kissoon and Michael Hall to lead its negotiations with the West Indies Cricket Board to revise the existing Collective Bargaining Agreement. 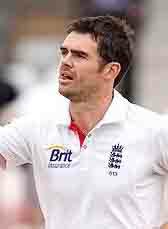 MUMBAI, (Reuters) – India seamer Zaheer Khan needs surgery for ankle and hamstring problems and has been ruled out for the remainder of the England series, the Indian cricket board (BCCI) said yesterday. 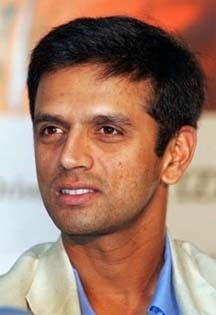 MUMBAI, (Reuters) – Rahul Dravid has said his return to India’s one-day squad is a temporary one and he is retiring from the shorter forms of the game after the upcoming series against England, but his surprise recall is being viewed by some as a step in the wrong direction. The moment of devastation had to be faced. It was the moment of losing. Barbados 297/8 dec. (Kraigg Braithwaite 146 not out, Gudakesh Motie-Kanhai 4/76, Loyydel Lewis 2-47) lead Guyana 87 (Kwame Crosse 42, Justin Greaves 4-17) and 143 for 9 (Amir Khan 36, Ronsford Beaton 21, Shai Parris 2-13, Kyle Mayers 2-16, Greaves 2-15, Jones 2-31) by 67 runs with one wicket remaining. 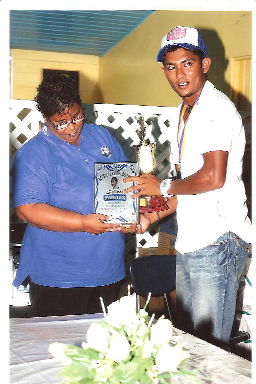 The Berbice Cricket Board (BCB) honoured West Indian players Devendra Bishoo and Shemaine Campbelle through its Tribute to Heroes programme last Wednesday which was sponsored by the Rose Hall Town Youth & Sports Club (RHTY&SC) in Berbice. 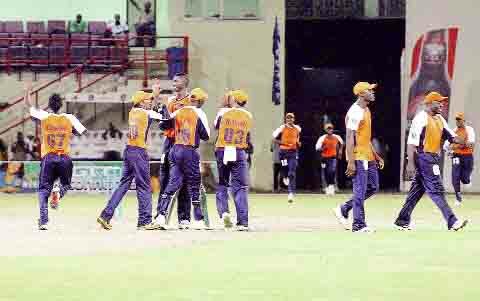 Jamaica became this year’s WICB three-day champions when they crushed defending champions Windward Islands inside two days by an innings and 77 runs at the Demerara Cricket Club (DCC) ground yesterday. 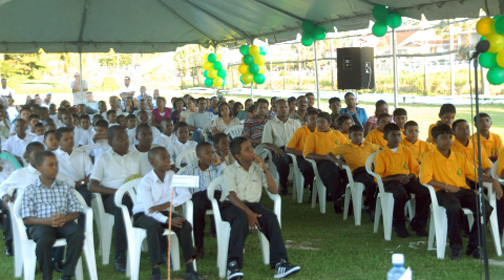 Over 50 young, aspiring cricketers, yesterday graduated from the East Coast Cricket Board (ECCB) 10th Cricket Academy held at the Lusignan Community Centre ground. The rescheduled Amy Taxi Service male tape ball cricket and female softball cricket competitions will bowl off today at the Better Hope Centre Ground, East Coast from 13:00hrs. 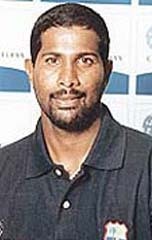 BRIDGETOWN, Barbados, CMC – West Indies fast bowling legend Joel Garner has been re-elected for a third successive term as Barbados Cricket Association president. The West Indies Players Association (WIPA) launched its second Balls of Fire charity event at the Queen’s Park Oval yesterday and sports fans can look forward to extreme excitement from a number of regional cricketers on September 3. 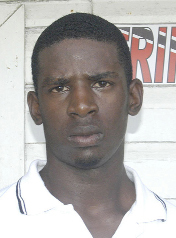 GEORGETOWN, Guyana, CMC – A superb century from rookie Emmanuel Lett has put Trinidad and Tobago in an excellent position to secure victory over Leeward Islands after two days of their WICB Regional Championship, fifth round match at Bourda yesterday. Solid batting by Trinidad and Tobago has placed it in a good position against the Leeward Islands in the fifth round of the West Indies Cricket Board (WICB) three-day under-19 Tournament yesterday at the Georgetown Cricket Club (GCC) ground, Bourda. 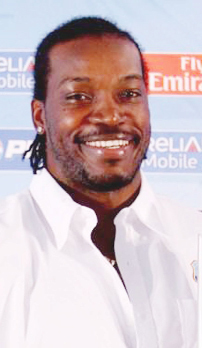 BRIDGETOWN, Barbados, CMC – Chris Gayle’s exile from West Indies is likely to continue for the two Twenty20 Internationals against England next month in London. If the idiom “one way traffic” ever needed explaining to a group of students in an English class, the day’s play at Everest yesterday in the U-19 tournament would have been the perfect visual representation. 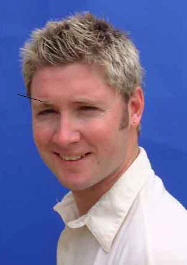 Jamaica’s opening batsman John Campbell rubbed more salt into the wounds of the Windward Islands by carving out an impressive century after being dropped on 14 by Terron Smith at the Demerara Cricket Club yesterday. 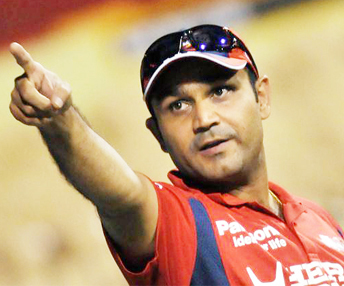 MUMBAI, (Reuters) – Former India players are united in their belief that Virender Sehwag’s return from injury will stabilise the team’s fragile batting order and lift morale in the remaining two tests against a dominant England. 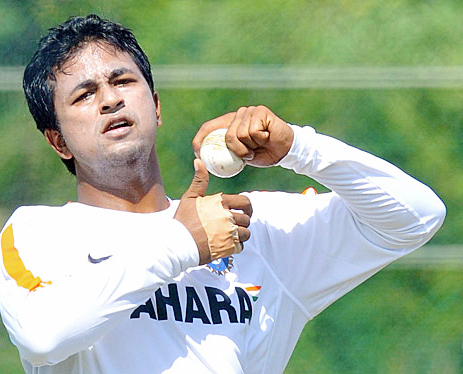 NEW DELHI, (Reuters) – Left-arm spinner Pragyan Ojha is keen to capitalise on a second bite of the cherry after landing a surprise call-up to an India squad he was originally omitted from for the ongoing tour of England. SYDNEY, (Reuters) – Australia’s journey back up the test world rankings is not going to happen overnight but the upcoming series in Sri Lanka will be an indication of their current status, captain Michael Clarke said yesterday. Guyanese and West Indies batting star Ramnaresh Sarwan has vowed to win back his Test place after acknowledging that he nearly gave up the game eight months ago, according to a report today in The Royal Gazette Online of Bermuda. 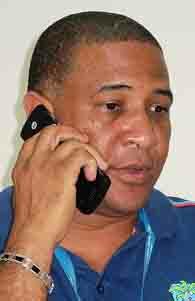 Says Colin Benjamin As Mother Nature continued its relentless downpour in the city it brought the scheduled second day of the fourth round matches in the West Indies Cricket Board regional Under-19 three-day tournament to a halt yesterday. LONDON, England, CMC – Chesney Hughes’ patient 44 on Sunday was not enough to stave off defeat for Derbyshire as they went down by seven wickets to Middlesex in their County Championship clash here yesterday. NOTTINGHAM, England, (Reuters) – Tim Bresnan bowled England to a crushing 319-run victory over India in the second test yesterday with a test best of five for 48 as the world number one side capitulated for 158 with a day to spare. 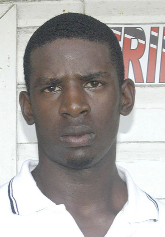 Guyana’s leg-spinner Davendra Bishoo will have his sternest test yet when he comes up against Chris Gayle in the Jam Zone Masters’ Cup T20 cricket tournament later this month at the Providence National Stadium. 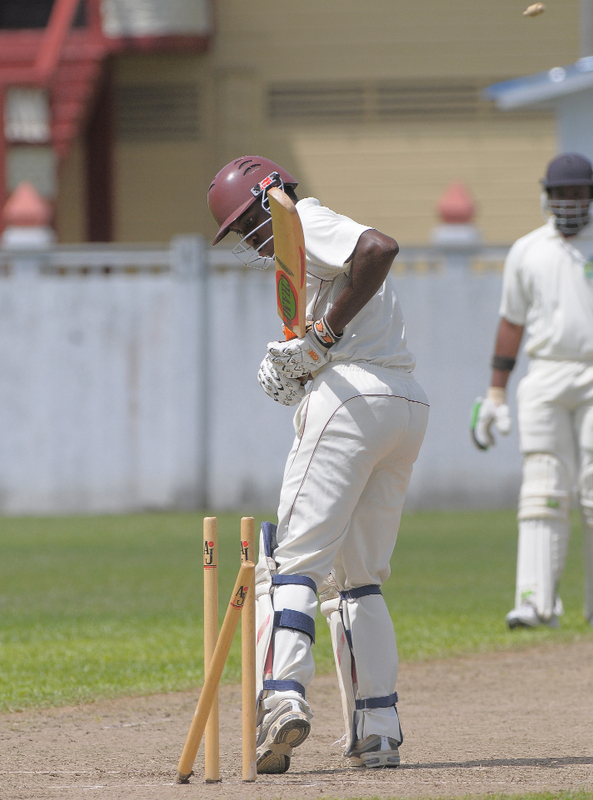 Overnight and early morning rain washed out all hopes of play on the first day of the fourth round of the West Indies Cricket Board Under-19 three day competition at the various venues in Georgetown yesterday. 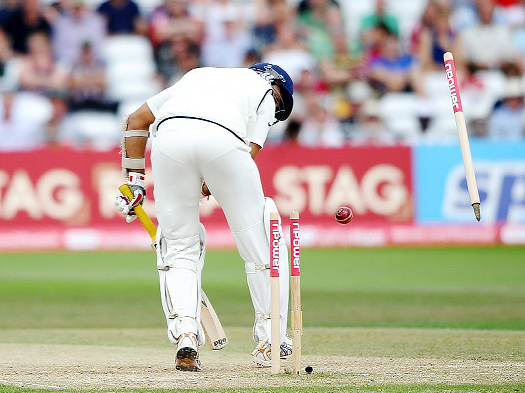 (BBC) England centurion Ian Bell was reprieved and allowed to bat on in the second Test against India at Trent Bridge after initially being controversially run out yesterday.